Patrick Bet-David was born on 18 October 1978 in Tehran, Iran. 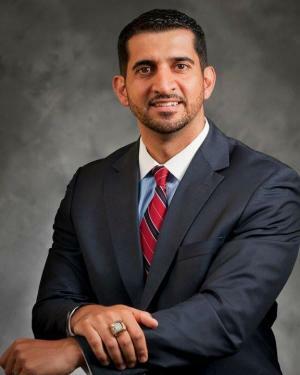 He is of Iranian ancestry, but now an American financial adviser and entrepreneur, best known as the owner of PHP Agency, which offers debt settlement, mutual funds, and insurance. Patrick’s business skills and advice have certainly helped him to increase his net worth, during his career which in its present form started only in 2009. Have you ever wondered how rich Patrick Bet-David is, as of mid-2016? According to authoritative sources, it has been estimated that Patrick Bet-David’s net worth is as high as $10 million, with the main source of this amount of money being his successful career as an adviser and entrepreneur. However, he is also an author, which ability has also improved his wealth. When he was ten years old, Patrick and his mother fled Iran in 1988 where the war raged between Iran and Iraq and went to a refugee camp in Germany. They stayed there for two years before they immigrated to the USA in 1990, and subsequently received American citizenship. Patrick lived in Glendale, California and enlisted in the US Army after finishing high school, serving in the distinguished 101st Airborne Division, and then found a job at Morgan Stanley when he discharged from the army. Morgan Stanley is the New York-based but multinational financial services corporation, which helped Patrick to become the successful business person he is today. The job inspired him to create a website named Saving America, educating people about fiscal responsibility, and also encouraging them to be entrepreneurs. In 2009, Bet-David founded his company called PHP (People Helping People) Agency, which rapidly became one of the fastest-growing financial companies. Patrick has continued to work as a professional adviser, and has even published two books: “The 25 Laws for Doing the Impossible” in 2011, and “The Next Perfect Storm” in 2012. Although they weren’t best-selling publications, these books certainly improved his financial status. Bet-David has given numerous interviews in which he explains to people how to avoid debts, for example to rent houses instead of buying them. He also made “The Life of an Entrepreneur in 90 Seconds”, the video that became very popular online, with over 27 million views – it can be watched on Valuetainment, a media brand Patrick founded. This project has also helped Patrick’s net worth. Patrick has hosted numerous one-on-one interviews with famous people, including billionaire and Dallas Mavericks owner Mark Kuban, author and entrepreneur Robert Kiyosaki, Apple co-founder Steve Wozniak, and NBA Hall of Famer James Worthy among many others. A great motivator and leader, Bet-David is not only a YouTube personality, but an ambitious CEO, who is the living proof that the America Dream is reachable, even for people without significant inheritance or huge capital. Regarding his personal life, Patrick Bet-David currently lives in Dallas, Texas with his wife and three children.